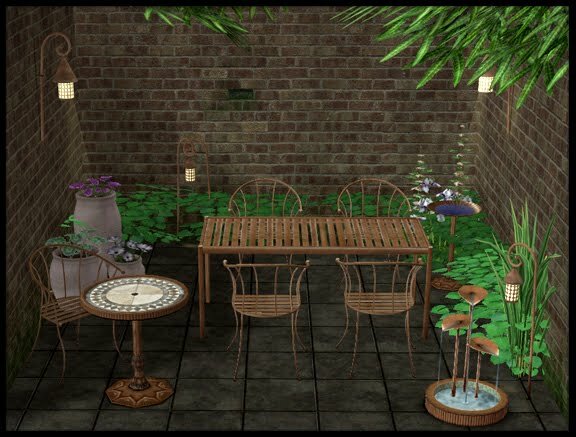 I have added a round dining table and a 2 tile rectangular table (honestly, a patio set with no tables....what was I thinking????) as well as "tweak" a few things. The fountain can be recoloured to no longer spurt "water" and the birdbath has empty and soil recolours included for other uses. 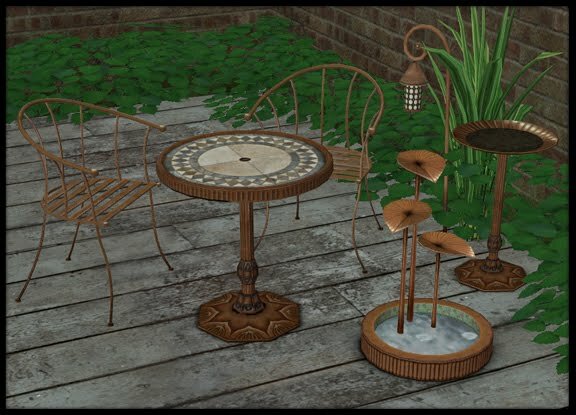 If you had this set before please read the txt file included. I love the realism of all your sets Natalie,they are truly fantastic.thank you for the addition. Nat they look gorgeous, what beautiful additions to this marvelous set, love and big hugs judith. Do you sometimes wonder if your desire for excellence crosses the line into perfectionism?